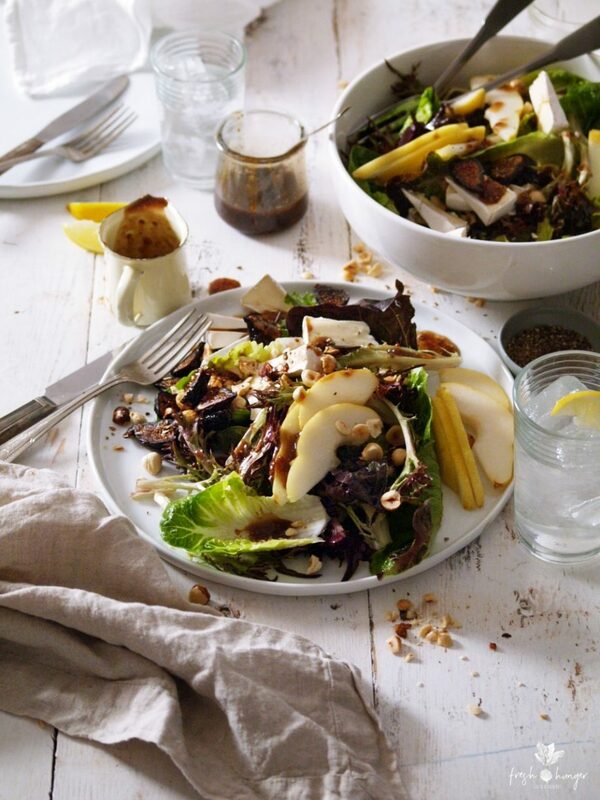 Fig, pear, hazelnut & Brie salad is a dish I’d scan on a cafe menu & immediately know what I was ordering – a rare occurrence for me I assure you. 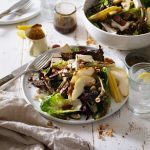 Chewy dried figs, fragrant ripe pears, toasted hazelnuts & creamy Brie tossed with artisan baby lettuce drizzled in the most divine fig, mustard & balsamic vinaigrette & you have a gorgeous salad fitting for a meal or as a quick & easy appetizer. Don’t you just love that fresh, new year smell? A year that’s completely unblemished, filled with all sorts of adventures & prospects? Mum gave me the best advice many years ago – “start how you want to finish”. If you think about it, it’s advice to live by. It was advice once given to her & in everything I do for the first time I think of that advice & hear mum’s words. So this year I started it off right with this special salad. 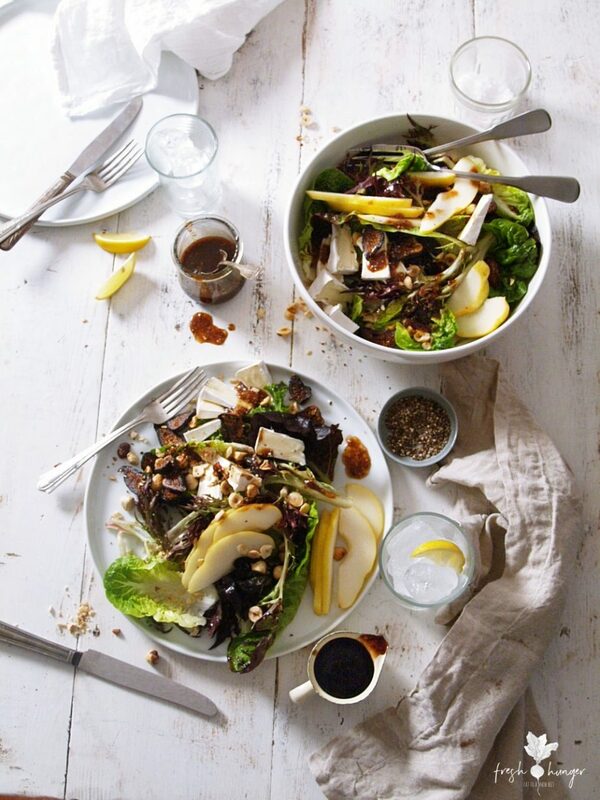 Every truly sublime salad deserves a truly sublime dressing – fig preserves, grainy mustard & balsamic vinaigrette. Simple. And perfectly suited to this salad. The vinaigrette would do double-duty as a glaze for roasted pork I’m certain of it – & I’m going to test that theory in the next couple of weeks. 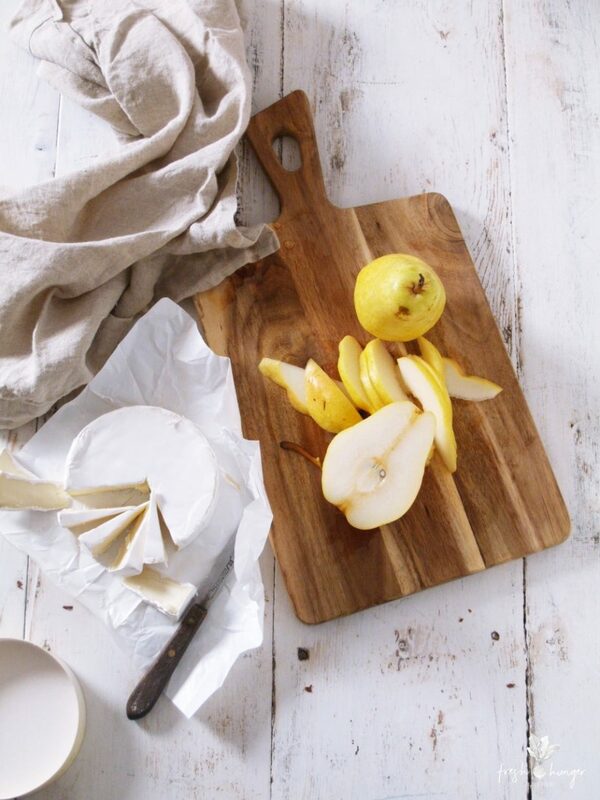 Pears, like apples, marry fabulously with all cheese, especially a good Brie (or camembert). 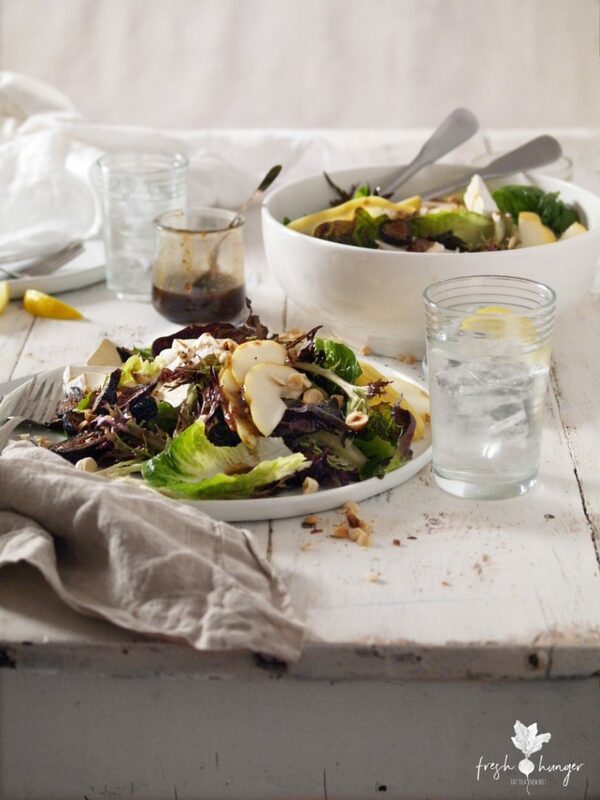 Remove the Briee from the fridge at least 30 minutes before making the salad to allow it to ‘ripen’ – becoming soft & creamy – heavenly. 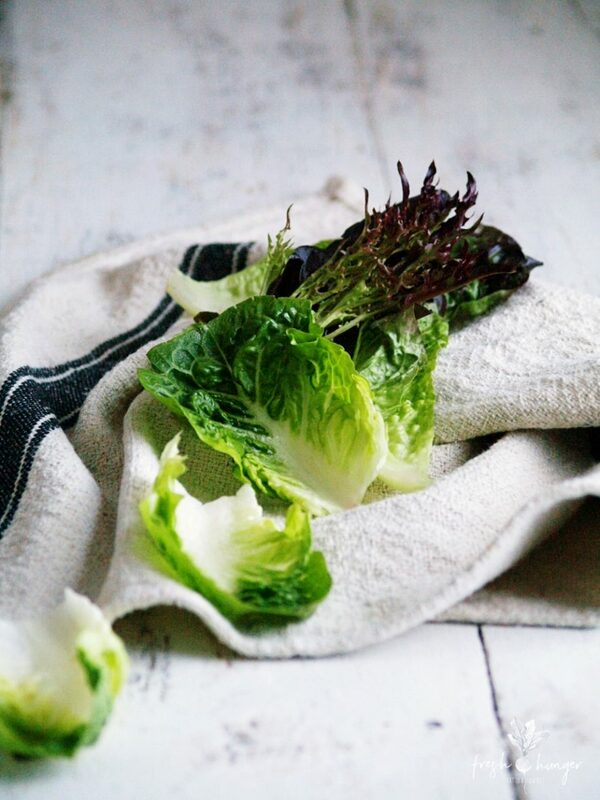 Use a variety of baby lettuce leaves or crisp romaine. For me this salad was completely cooking free as I already had toasted hazelnuts in the freezer. Because of that it look me less than 10 minutes to throw the whole thing together before sitting & enjoying a rare lunch with my husband. Toasting the hazelnuts takes about 10 minutes & is the most arduous part of this simple, rustic recipe. 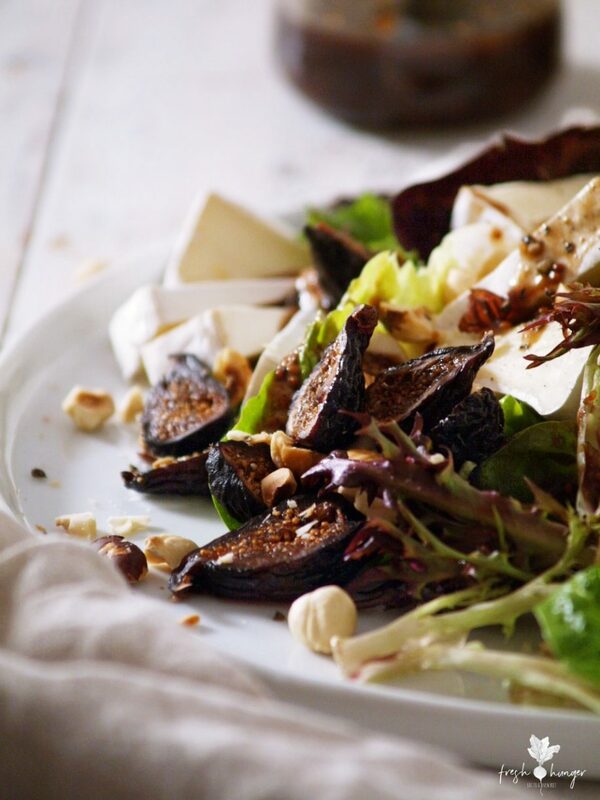 I have quite the penchant for dried fruit in salads, however you might prefer to use fresh figs when they’re in season. I used dried, dark mission figs. 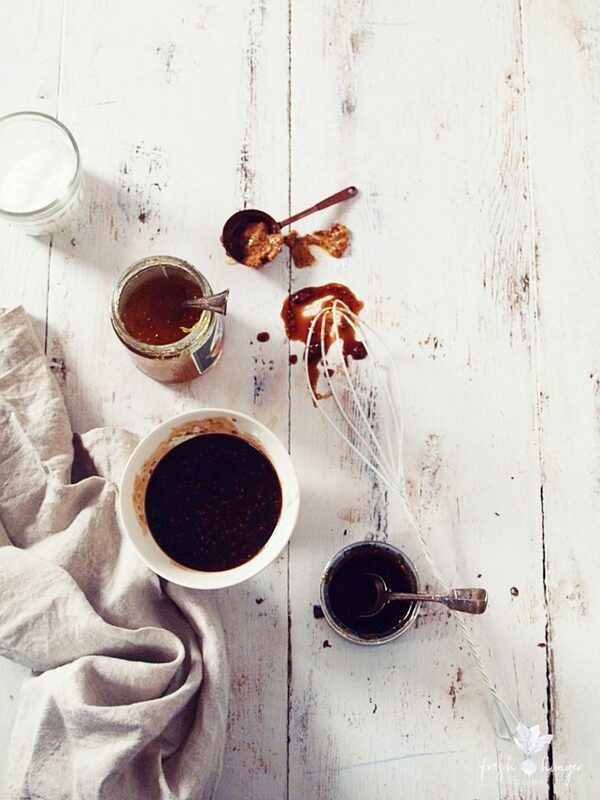 To make the dressing: Place all ingredients in a small bowl; whisk until very well combine. Arrange salad leaves on a platter or two to three individual serving plates. Top with hazelnuts, figs, pear slices & Brie. Drizzle with dressing; serve immediately. Serves 2 to 3.